However you decide to celebrate this holiday, try to surround yourself with those who truly believe in you and your vision. Your family and friends are the ones who have been by your side as you have been trying to make your vision come to life. Celebrate all they have given you throughout the year. 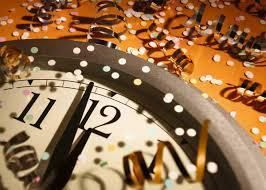 These are the moments and memories that will sustain you as the new year approaches and you begin to make more progress towards your goal. A new year awaits you! Allow all that support that your family and friends give you to be your motivation for continuing on!